Travelink, American Express Travel, is pleased to announce being named to Travel Weekly’s 2018 Power List for the 7th consecutive year. The annual Power List, which ranks agencies that report annual travel sales in the previous year of $100 million or more, ranked Travelink #46 (previously #50) on this prestigious list. Contributing to the company’s 2017 success, the Business Travel Services division optimized its sales team and focus with its client roster and partnership with American Express Global Business Travel. The new team structure is set up to more efficiently bring customers onboard and enhance services to existing clients. The Privileged Journeys luxury leisure division experienced double-digit, year-over-year growth in 2017 and expects the same this year. While the Marketing department implemented a new marketing automation system for its Vacation Travel Services division to ensure emails sent from leisure travel advisers to customers are customized and personalized based upon customer preferences and purchasing patterns. Travelink remains one of the exclusive American Express Travel Representative Network agencies managing the Gold Card Members travel program. Its Vacation Travel Services Division deepened its engagement with the American Express Gold Card travel services offering during 2017 and expects further growth in 2018 with the addition of new Gold Card partnership programs. 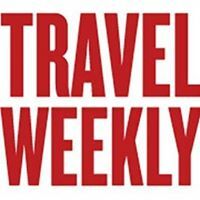 To read more about Travel Weekly’s 2018 Power List click here.